Ethan Hughes was selected with pick 13 in the Rookie Draft. Ethan is a 19-year-old from Bunbury who only started playing football when he was 15. The 2014 season was his first year in the WAFL system where he started playing for Peel reserves, before being recruited by Swan Districts. He played 15 reserves games for Swans before breaking into their league team with two games late in the year. Ethan played predominantly half-back, showing excellent run, evasiveness and work ethic. He is a hard worker with a lot of upside. 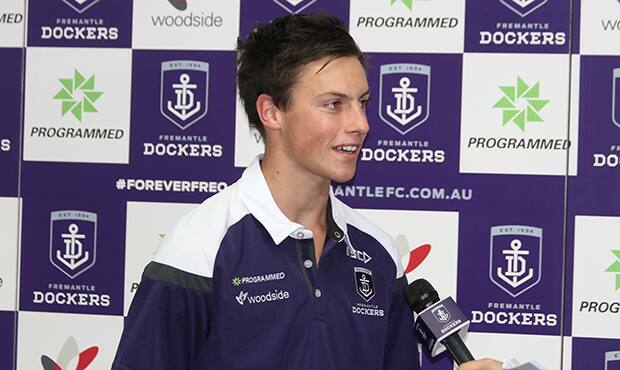 Freo re-drafted Tanner Smith with pick 31 and the club's final pick, 48, was used on Irish recruit Sean Hurley.